It had a good run. That's for sure. After 53 years on air, Sábado Gigante will celebrate its final episode Saturday with a "star-studded send-off" and a "giant" celebration. The live, final show of the Univision classic will be three hours long and will kick off at 8 pm ET, according to a press release. This last show has been dubbed "Sábado Gigante -- ¡Hasta Siempre!" 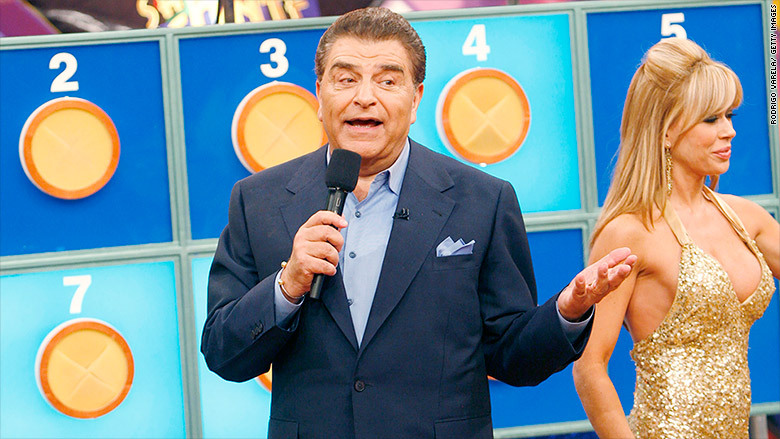 It will serve as a tribute to legendary host Mario Kreutzberger, more commonly known as Don Francisco, and his cast and production crew. Kreutzberger himself will be given several awards including one from a U.S. congresswoman. He'll also receive a Guinness World Record certification -- Sábado Gigante is the longest-running weekly variety show. Recurring guest Gloria Benavides will appear in character as "La Cuatro" and there will be a contest featuring "El Chacal de la Trompeta." The celebration will feature performances by Luis Fonsi, Espinoza Paz, Paulina Rubio, Enrique Iglesias, Juanes and others. Reggaeton singer Daddy Yankee will be performing a special segment live from a concert he's giving at Madison Square Garden. And Gloria Estefan is scheduled to debut a song she co-wrote especially for the show with her husband, Emilio Estefan, called "Hasta Siempre." Several other notable guests, including Shakira and Marc Anthony, will also make an appearance. The live studio audience will be joined by hundreds of other viewers who will see the show broadcast on screens outside the studio. And, in keeping with the show's theme of having contests and prizes, three new cars will be given away. Sábado Gigante, which first aired in Chile in 1962 and moved to Miami in 1986, is known for its dizzying array of performances, musical acts, skits and games. The Spanish-language show also prominently featured dancers, models and female hosts. "It is with great pride that I bring this historic run of 'Sábado Gigante' to an end after 53 years, in which I have felt privileged," Kreutzberger said in a statement. " I have had the honor of reaching the homes of millions of families over more than five decades with the program, which has left an indelible mark on my personal history and on the history of television in the world."